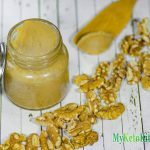 Walnut Butter is a simple and tasty spread, and high is high fat. This recipe consists of only two ingredients. Place walnuts and salt into your food processor and blend on medium to high speed until the walnuts breakdown. It can take 15 to 20 minutes of blending for the walnuts to release their oils and turn into a smooth butter. 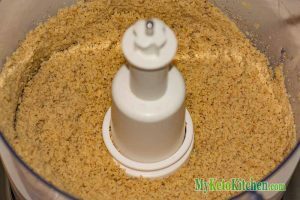 Ensure you stop your food processor if it begins to heat up, to avoid burning out the motor. Use your walnut butter to make our Snickerdoodle Cookies, or store in an airtight container.